A long, long time ago, back in 2011, I walked into a Best Buy with my friend Betsy with the soul purpose of checking out their game selection. Back in those times you could actually buy the hard copies of the games, I mean you still can, however many now simply down load. 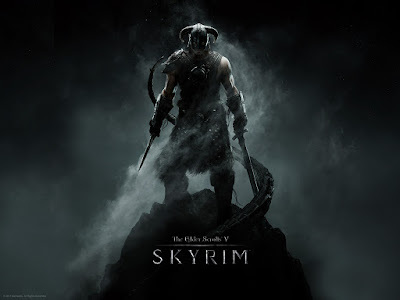 Anyway, one title jumped off the shelf and hit me right between the eyes, a little thing called Skyrim. When I gave it to the clerk to ring out he said, in a very, very calm voice "this is great, this is really great, I've already have over 60 game play hours in." Skyrim went on to win hundreds of gamer awards. That's right, hundreds. And it made hundreds and hundreds and hundreds of millions of dollars. At one point, there were over 5 million people playing Skyrim concurrently (at the same time) on Steam. The total revenue this game has earned is staggering. And tonight, at midnight, Bethesda is releasing the original, remastered to UHD and it's selling like hotcakes. And, of course, tonight at midnight, PST, Skyrim is set to download onto my Xbox one. If only life were always just that simple.